Sonoma Wireworks' StudioTrack is one of over 40 audio programs for iOS devices that supports AudioCopy and AudioPaste. The first commercial album recorded with an iPod was over three and a half years ago by an artist called Jimmy Camp, more or less just to prove that it could be done. But the iPhone, with its touchscreen and apps, is much more than a mere gimmick when it comes to recording and composing music. Earlier this year, Damon Albarn of Gorillaz and formerly of Blur swore to me that he rarely uses a computer for anything — and that he never uses a computer to make music. Instead, he said he prefers vintage hardware instruments, which you, too, could afford if you had fronted two popular and critically-acclaimed bands over the past two decades. Now, Damon Albarn has promised to record the next Gorillaz album, called The Fall, completely on an iPad. My, how times have changed… even an artist who refuses to make music on a computer mere months ago now says he’s going 100-percent iPad for music production. Just one problem: Unlike music software for the desktop, music apps exist within their own little silos, making it impossible to move audio from your drum machine to your multitrack recorder, drop a guitar track into your favorite effects application, and so on — until recently, that is. If Albarn hasn’t figured it out yet, someone needs to tell him about a crucial new iOS feature for audio creation from Sonoma Wireworks, co-developer (with Retronyms) of the popular FourTrack recording app ($10) or the more elaborate StudioTrack for iPad ($40, pictured above). Suddenly, the iPhone, iPod Touch, and, even better, the large-screened iPad can function as something like a real recording studio, because you can tie together a drum machine, multiple instruments, a sequencer, audio effects, and a multitrack recorder, the same way you would in the studio. On iOS, apps have to run in their own sandboxed environment, [but] as iOS evolves, those barriers between apps are coming down. With iOS 3.0, the pasteboard allowed text, photos, and other data, to be copy and pasted between applications. We saw an opportunity to make a way for audio app developers to share audio with one another, and so we developed AudioCopy and AudioPaste. We began to use it in our own apps and refine it through multiple versions before we offered it to other developers. This isn’t just about recording. There’s also clear potential for apps like Shazam to identify the music that’s playing in other apps, in addition to over nearby speakers, and countless other instances exist when audio files might need to be passed between apps. Sonoma WireWorks has been quite busy of late; in addition to rolling this program out, the company announced a new version of StudioTrack on Thursday with support for both AudioCopy and AudioPaste. So far, over 40 mobile apps for Apple iPhone, iPod Touch, and iPad have been released with support for Sonoma’s AudioCopy/AudioPaste feature. The protocol appears to be spreading rapidly, in part because it lets users know which other programs they can use with it from right within the app. We asked Sonoma Wireworks for a selection of the best music that’s been made so far using AudioCopy/AudioPaste. These are still early days for the protocol, but people have already made some pretty interesting stuff with it. A Million Years -”Shifts”: This is a great example from the New York-based band A Million Years of the sort of sketch-like compositions that can be created on the go using an iPhone. He used DopplerPad and FourTrack for this, and also likes Everyday Looper and ThumbJam. 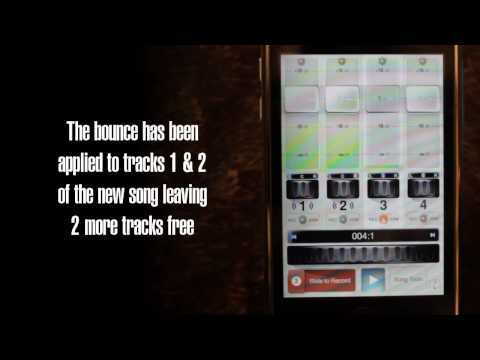 jonwal – “Prodigal Beats”: This one combines three apps: Beatmaker, DopplerPad and InstantDrummer. As jonwal himself puts it, “God bless cut and paste. If I can do crap like this in an evening, just imagine what someone with acutal musical talent could do.” However, he apparently doesn’t believe in embedding audio on blogs, so you’ll have to visit his site to hear the song. Steven Poff – “Disconnected”: This video is more of a demonstration of how to use FourTrack, but you get to see how Poff records the song. He used FourTrack and drum loops pasted in from InstantDrummer, which features ready-to-record-with drum tracks from some well-known drummers including Jason McGerr of Death Cab for Cutie. I think the iOS will continue to evolve to provide more communication between apps and eventually the devices will be fast enough to truly run two apps at the same time with interapp communication. There will be a protocol for how audio apps will communicate and I hope Sonoma will be involved in helping to decide what that protocol is. Sooner than that, I think we’ll see device to device communication allowing two or more devices to synchronize their audio engine timing with each other. This will allow real time performances of groove based music on mobile devices with a device dedicated to an instrument. I think the iOS will continue to evolve to provide more communication between apps and eventually the devices will be fast enough to truly run two apps at the same time with interapp communication. There will be a protocol for how audio apps will communicate and I hope Sonoma will be involved in helping to decide what that protocol is. Sooner than that, I think we’ll see device to device communication allowing two or more devices to synchronize their audio engine timing with each other. This will allow real time performances of groove-based music on mobile devices with a device dedicated to an instrument. Exciting stuff. We’ll continue to chart the emergence of iOS as a music production platform, among other things. If you’ve recorded something using at least one mobile app, or know someone who has, feel free to drop me a line. 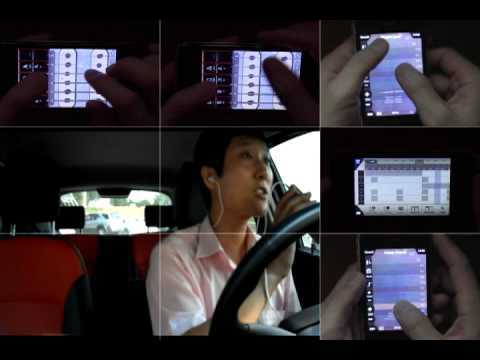 This is the great example of how this technology should be used by pro musician. Budapest Dream Orchestra released its album, Last train to Vienna, 2 months ago. It’s entierly made on an iPhone using iSequence. You’ll find it in Jamendo.com.